I’ve been dying to make cake balls for a couple months. Don’t ask me why. It’s just one of those weird things that infiltrate my brain at 3 a.m. and won’t let me rest. Overall, a very fun project and one that would be great if you had an afternoon to spend with your kiddos, dipping the balls. 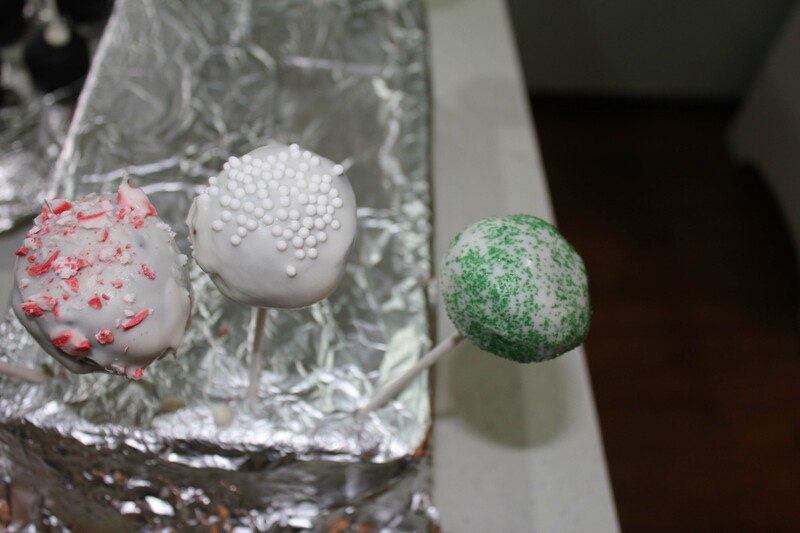 For the sake of easy handling, I decided to put the balls on sticks and now, I guess, I should really call them cake pops. 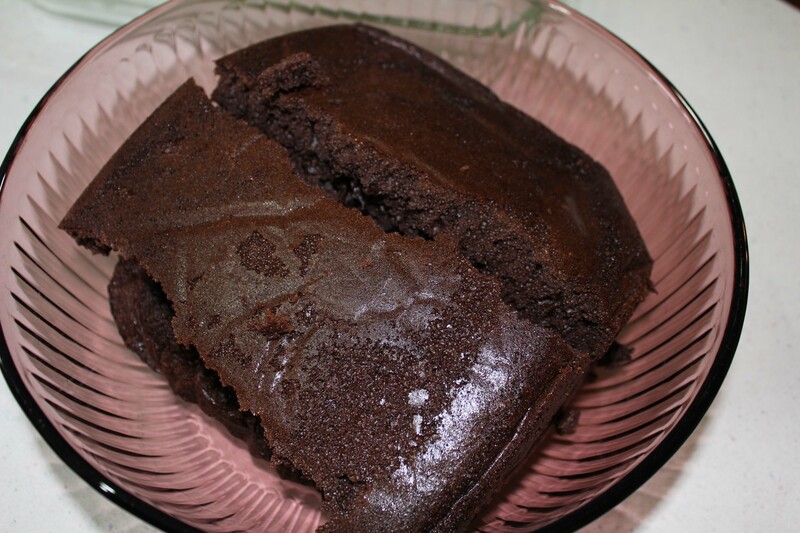 Once the cake is baked and cooled, you are ready to start the process. I forgot to include a can of frosting in the ingredient list! 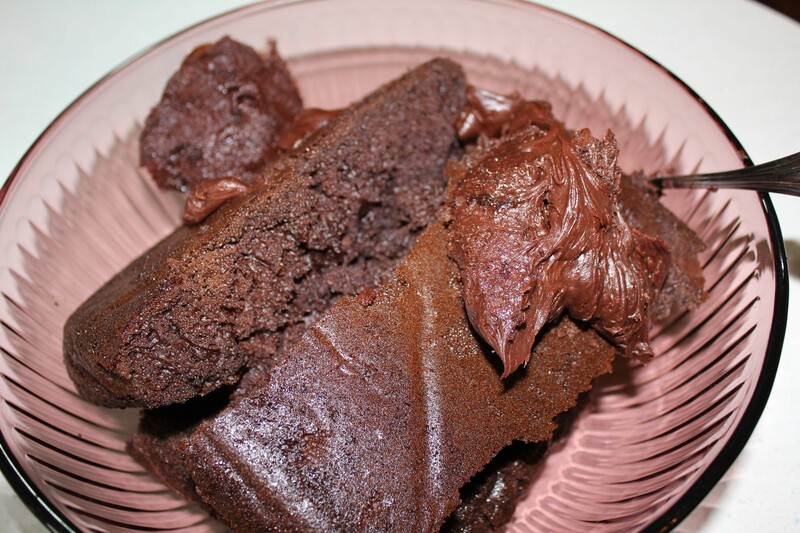 Dump the entire cake into a large bowl and break apart. 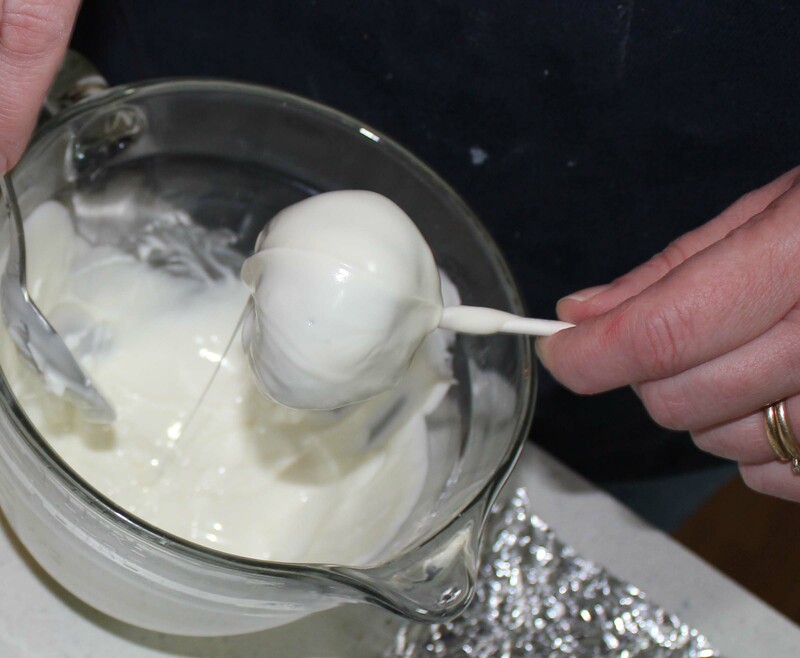 Add in half a can of frosting and mix together until ball starts to form. It will feel moist and sticky. Form cake balls. I made mine fairly big because I wanted to have fewer to dip. I'm a lazy slug that way. I'm also incapable of making perfectly round balls, so pardon my somewhat oddball shaped creation. 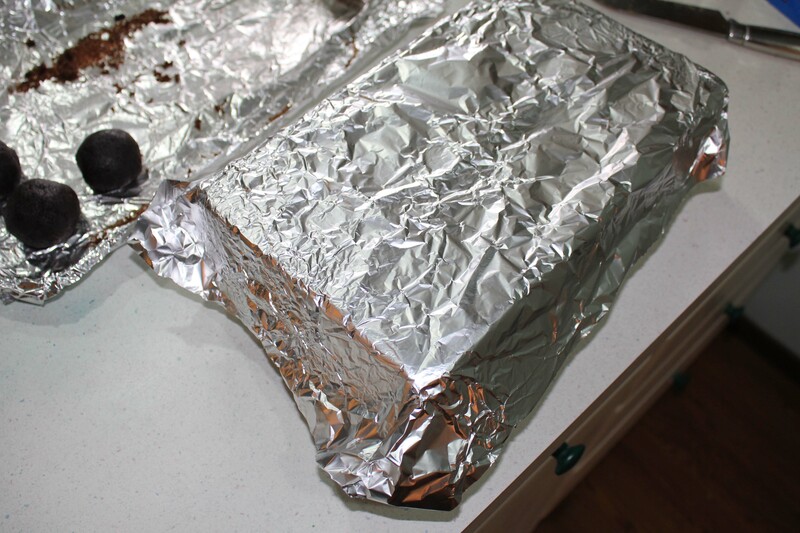 Cover a styrofoam block with foil. 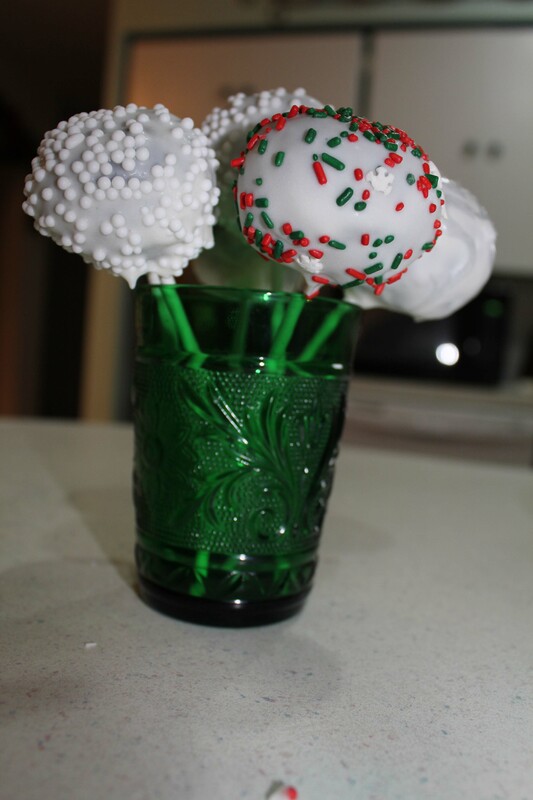 Melt the candy coating then dip in ends of lollipop sticks. 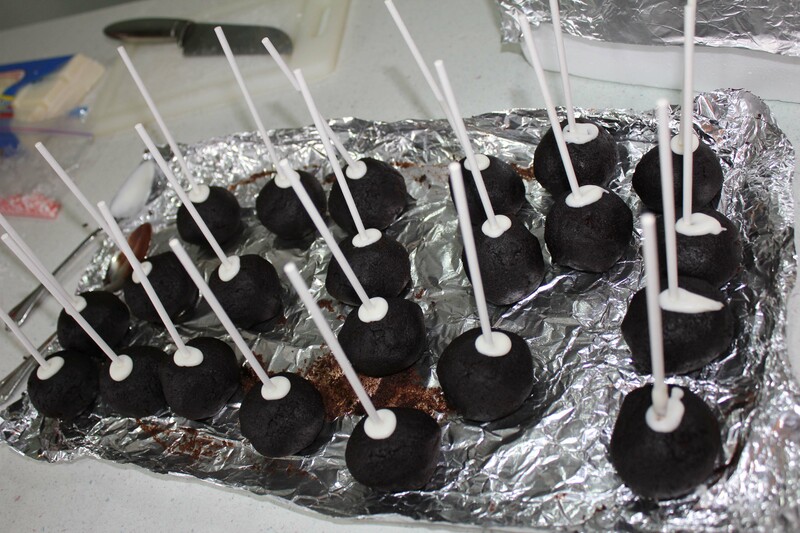 Harpoon cake balls with sticks and let rest until candy has hardened. 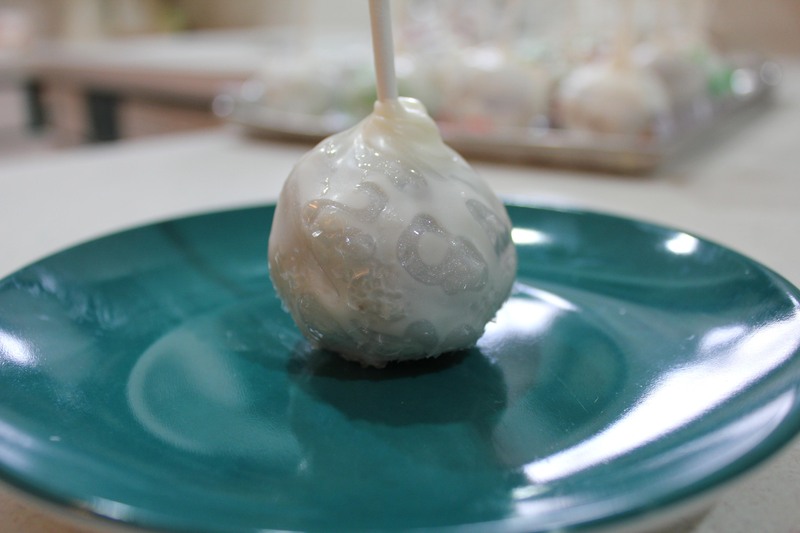 Cover cake balls with candy coating. I used a spoon to drizzle over the balls. Gently tap stick on edge of bowl to get off excess coating. While candy coating is still warm, decorate balls with your choice of sprinkles, crushed peppermint, chocolate shavings or whatever tickles your fancy. Poke sticks into foam and let set until coating has hardened. Bake the cake according to package directions. Cool completely. 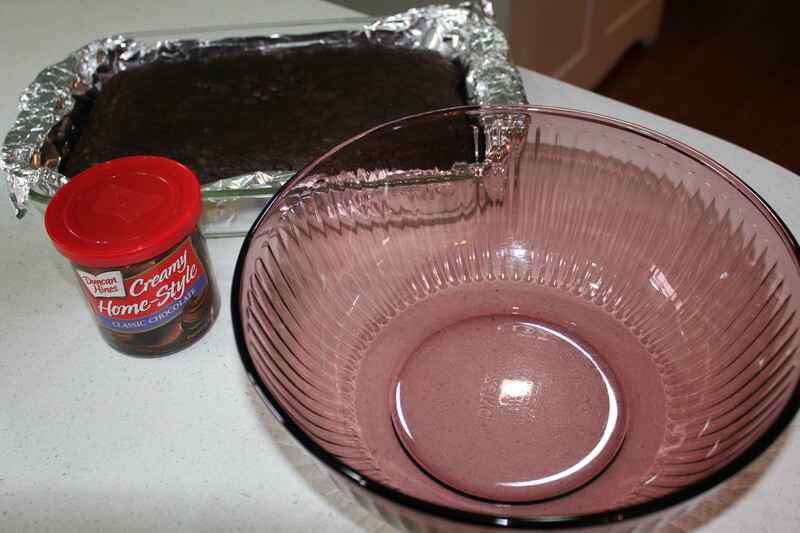 In a large bowl, break up entire cake then mix in 1/2 of the can of frosting. 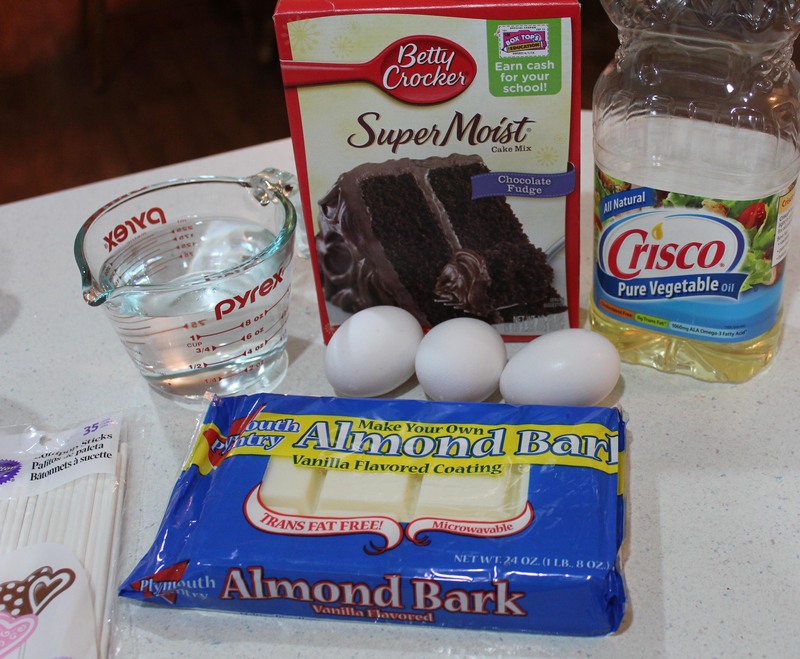 I used chocolate just because I need chocolate like most people need air, but you could choose any flavor cake and frosting. 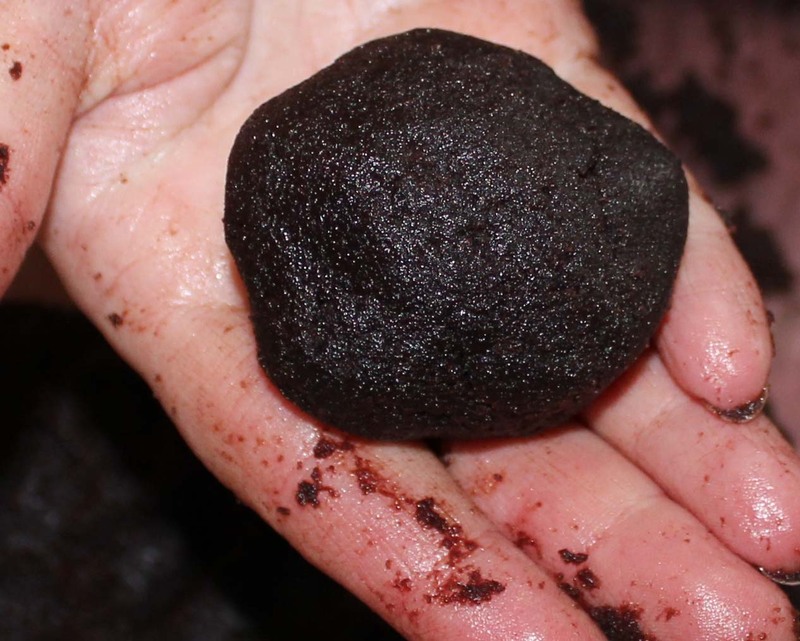 You may have to get your hands into the project to get it thoroughly mixed and you most definitely will get hands-on- involvement when you form the balls. The size is totally dependent on how big you want to make them. I’d stick in the ballpark of between one to two inches diameter. Once the ball are formed, melt the candy coating. I did just a few bricks at a time so the whole bowl of coating wouldn’t get hard before I was done. You can just pop it into the microwave in 30-second intervals until it is melted. Do not reheat it as it gets gunky and icky quickly. Use it up then melt the next round. When the candy coating is ready, dip in the ends of the sticks then stab them into the balls. Let them sit until the coating is nice and firm. This is very important. If you don’t do this, your sticks may fall out and that would be tragic. 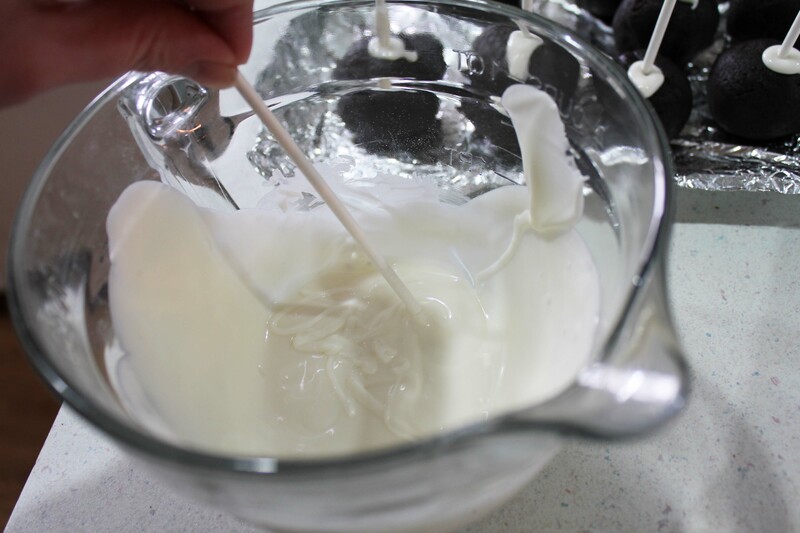 Once the balls are ready for dipping, use a spoon to swirl coating over the balls. Tap the edge of the stick lightly on the bowl to get off excess coating. Cover the ball in sprinkles, crushed candy canes, whatever sounds good and looks tasty. Then poke a hole with the stick into the foam black and let rest until the coating is good and firm. Repeat until all balls are coated. You can put these in the freezer, wrap in individual cellophane bags or share them for devouring as soon as you are finished.